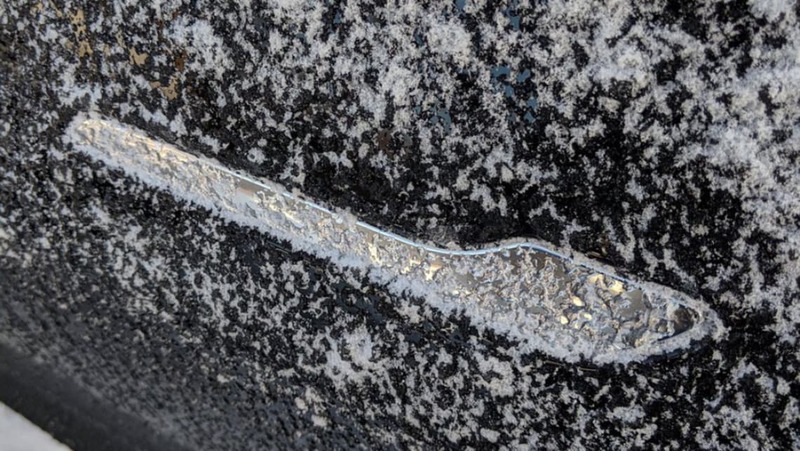 Tesla owners are reporting that they've been frozen out of their vehicles with a brutal cold snap in America literally freezing their car's door handles shut. While most of Australia bakes, snow is falling and temperatures are freezing across much of America, and some Tesla owners have discovered their door handles - designed to sit flush with the body work until you push on a part of it - are frozen stiff. Some owners are reporting being locked out of their vehicles for more than 15 minutes, despite running the heating on high in an effort to defrost the situation. Others are posting videos of them banging on the door handle to break up the ice. Other owners are reporting trouble opening or closing windows, and with accessing the charging ports, while others claim their batteries are draining faster than usual (a common problem in extreme cold or heat with all battery-electric vehicles). “I can’t wait all day for this silly car," tweeted Andrea Falcone, a software engineer from Boston, who posted a photo of her ice-covered door handles. And with owners tweeting Tesla directly, company boss Elon Musk promised an over-the-air fix was coming, tweeting: "many cold weather improvements coming via OTA software", though it was not clear whether he was referring to battery life or the doors themselves. Would frozen doors leave you feeling frosty? Tell us in the comments below.